Ladies S through XL, about 7.625 to 9.5 inches long unstretched. 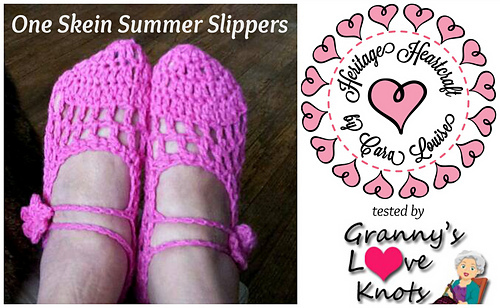 THE perfect summer slipper pattern, for a barely there, just need a little something, something! 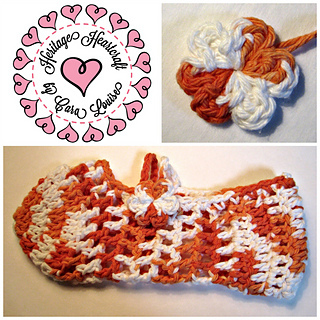 The XL size uses exactly one 2 oz, 95 yd ball of soft worsted weight cotton yarn! These lightweight slippers are worked in an airy mesh design, with just a little more structure at the toes and heel to keep your feet happy all summer long. The mary jane style strap across the instep is held in place with a matching flower button.